Kindle Edition purchase is temporarily unavailable for this title. It will be available in the last quarter of 2018. 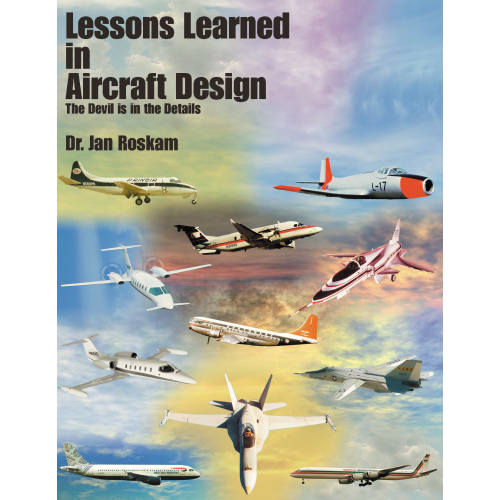 Lessons Learned in Aircraft Design presents examples of lessons learned in airplane design since 1945. The lessons are largely drawn from the aircraft design and accident/incident literature. The author hopes that this book will contribute to the safety of flight. A brief summary is presented of safety statistics, certification and operational standards, safety standards and their relationship to design in general. In each case the discussion starts with the recounting of a problem which arose. Then the probable cause of the problem is identified, one or more solutions are indicated and finally a lesson learned is formulated. Since many designers will eventually become program managers, it is instructive to recount some trials and tribulations associated with marketing, pricing and program decision making. As is shown by many examples in this book, safety of airplanes often starts in the design phase. However, sometimes the certification process itself, for whatever reason, fails. 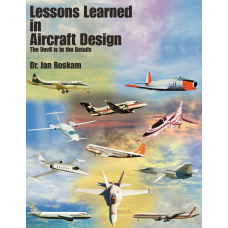 This book will be useful to practicing design engineers, test pilots and program managers. It can be used in the classroom to help in the education of future aircraft designers and engineering/maintenance personnel. 8.19 Do Forward Swept Wings Make Sense?